Unfurling the national flag at Indira Gandhi Park here, the Governor called upon all government functionaries employees to work with full commitment. “We have to ensure smooth, prompt, hassle-free delivery of public services. We have to provide corruption-free administration and all those involved in corrupt practices and other unlawful activities must be dealt in with firm hands,” he said. “Let us join hands to fight the menace of the hydra-headed monster called ‘corruption’, otherwise ‘good governance’ will be a far cry and the common man will continue to suffer,” he added. Rajkhowa also laid emphasis on constitution of the state Lokayukta on priority basis. Such an initiative would delivery of speedy justice at a reasonable cost to the poorest of the poor, he said. Step should also be taken with right earnest to complete the process of separating the judiciary from the executive, he added. On the security front, he said the state does not have the problem of homegrown terrorists or underground elements but some districts in the eastern front are affected by activities of underground groups from outside state like extortion and kidnapping. “The security agencies are keeping a close watch on such illegal activities and have also been successful in nabbing or neutralising some such elements and also recovering significant quantity of arms, ammunition, explosives, which is indeed commendable,” he said. The Governor, while expressing concern over rise in crime against women, urged the law enforcing agencies to contain such crimes. 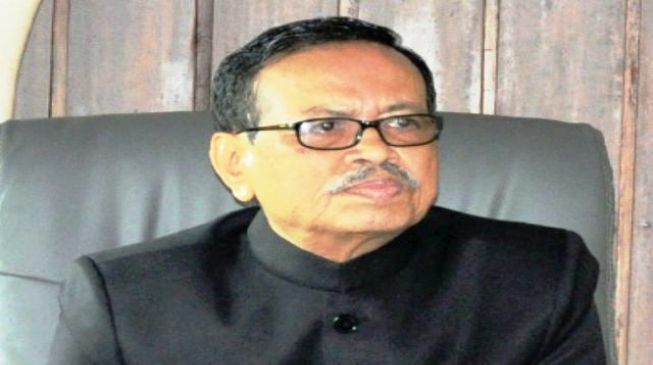 Rajkhowa said the state government took up the task of preparing the ‘Arunachal Vision-2030’, for which an expert committee had been constituted. “The vision document needs to be finalised soon. Meanwhile, people-oriented policies and programme for alleviation of poverty, infrastructure development, various schemes in social, economic, health, education, skill development, connectivity, communication, power generation, agriculture & allied sectors, tourism, handloom, handicrafts and horticulture and other priority sectors have to be formulated on short-term basis,” he said. The governor also appreciated the move by Arunachal Press Club (APC) President Chopa Cheda who had recently handed over a black-breasted Khalij Pheasant to the curator of Itanagar Biological Park. Stating that Arunachal possesses over 500 endemic orchid species for which the state could rightly be called as the ‘Orchid Paradise’ of the country, Rajkhowa called upon the youth and unemployed women and housewives to take up orchid and floriculture for self-employment. “Let us all strive to build strong linkages between industry, academia, and government, create an environment conducive to promoting sunrise, competitive, economic and business models and development of local skills to facilitate greater opportunities for job creation in different sectors,” the Governor said. Eleven gold medals, 17 silver medals, four certificates and three ‘Chief Minister Sram awards’ were given to the winners on the occasion for their commendable services to the state. A march past by various security contingents and school children, along with colourful display of traditional dance forms, were the highlights of the Republic Day celebration in the state.